When it comes to some games, though, Android users have to be a little more patient. And yes, I am talking about Temple Run. 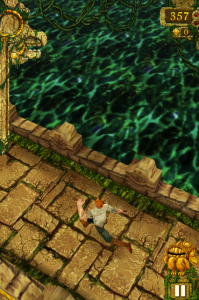 As these things go, rumors flew around that Temple Run for Android was going to be launched early this month. If you have been holding your breath for that event, better not. As the Android Community ((Android Community)) reported, the guys at Imangi studio themselves said that there is no official date yet. The did, however, emphasize that they are going to announce the launch of Temple Run for Android via their Facebook page. And till that happens, everything else is simply false.